The Secretary of State’s office will be issuing REAL ID Act-compliant driver’s licenses and IDs (DL/IDs) at Driver Services facilities statewide by April 2019 to Illinois residents who want them. 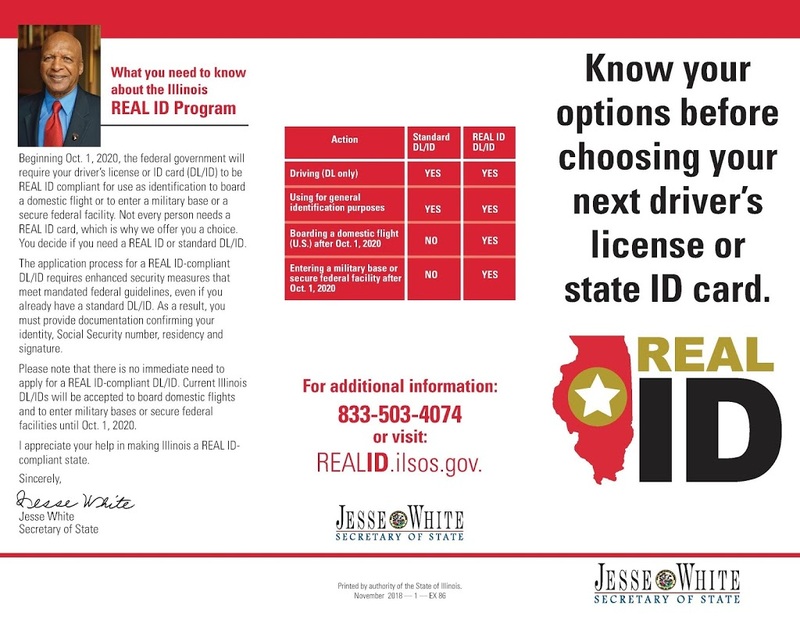 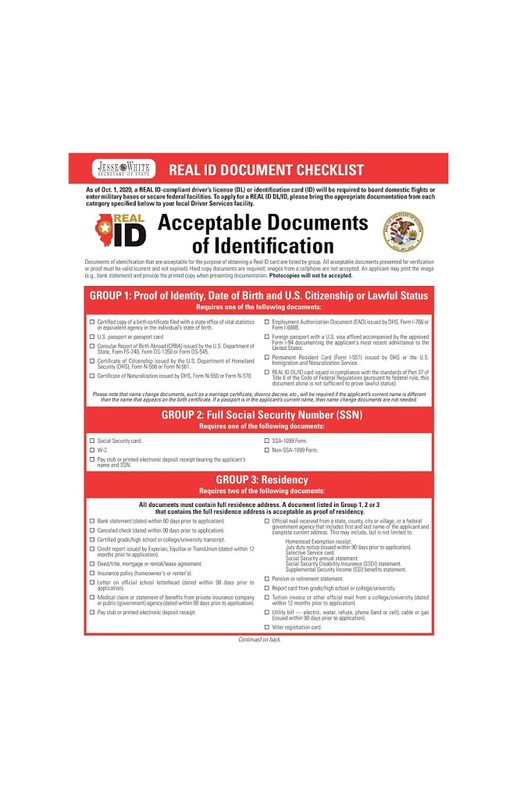 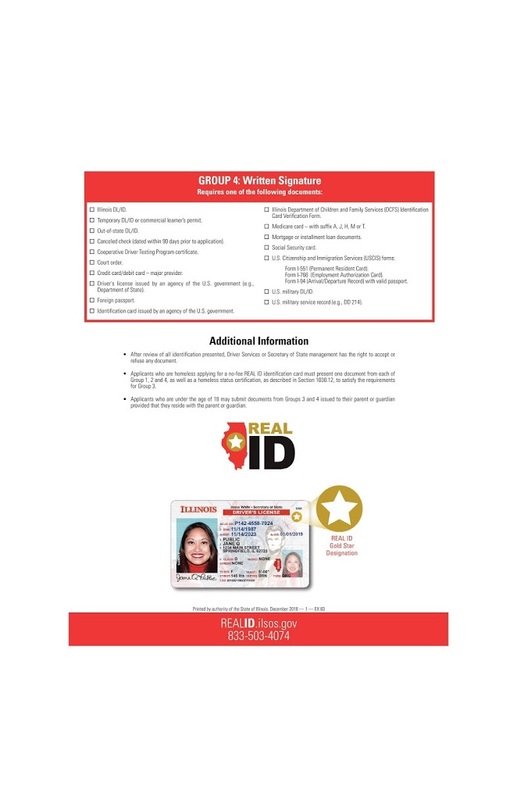 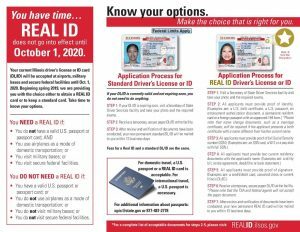 It is important to emphasize that there is no urgency for residents to obtain a REAL ID-compliant DL/ID because Illinois’ existing driver’s licenses and IDs are acceptable for domestic travel and entry into military bases and secure federal facilities until October 1, 2020. 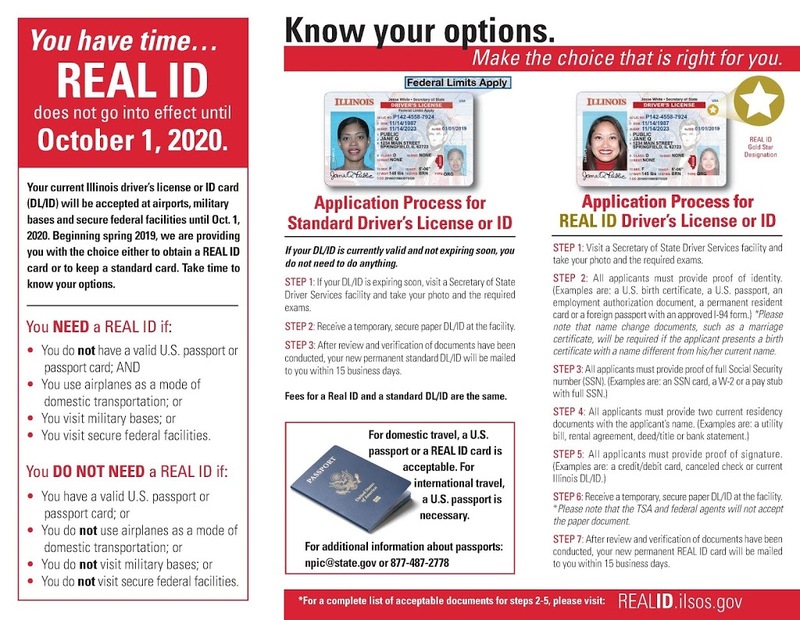 Individuals who have a passport (which can be used in place of a REAL ID DL/ID), or who do not travel by air or enter military bases or secure federal facilities will have the option of obtaining a standard DL/ID.